The Topica Forums app lets you create school-wide discussion forums. It's installed from the App Store and can be helpful for fostering communication at school. Topica is on online forum app, where you can post topics for discussion on the various QuickSchools portals. Administrators can decide who has the ability to post topics, and who can participate in topics. 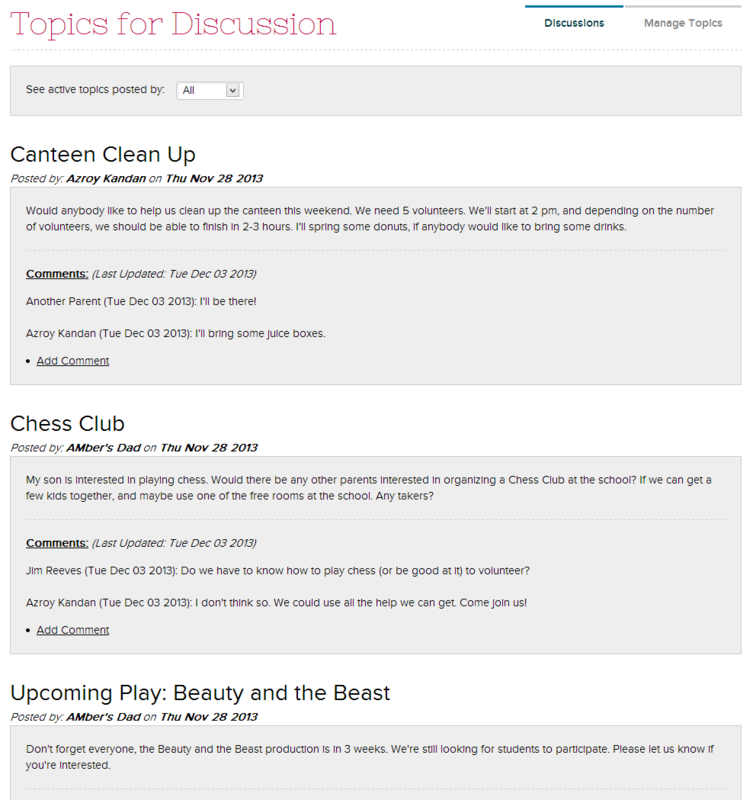 Topics can then be removed / archived or changed to read-only for future reference. Topica can be used like a Bulletin Board that users can comment on, except that posts do not expire automatically (i.e. the poster has to manually change the status of the topic once the discussion is completed. Remember that when topics are posted, they are viewable to all users as defined by the administrators. Please feel free to try out this app and let us know if you have any questions or concerns!